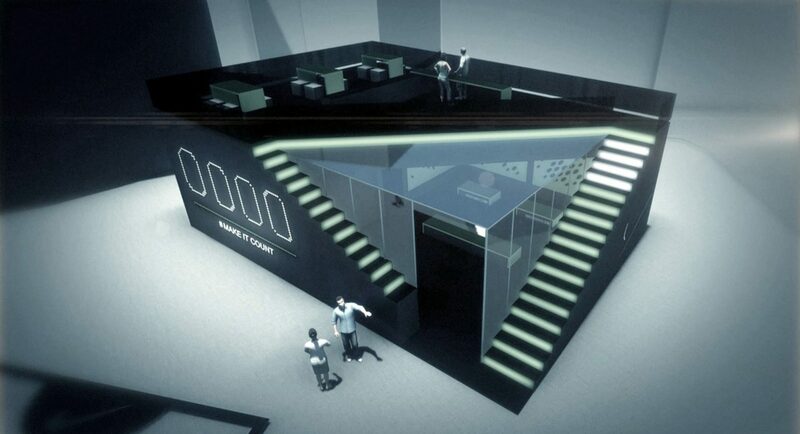 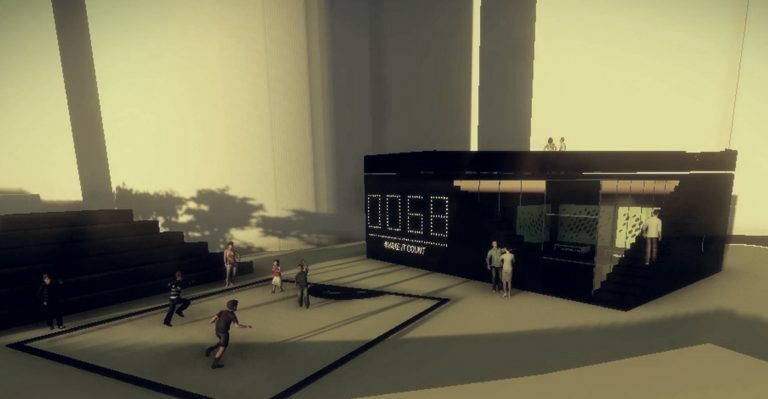 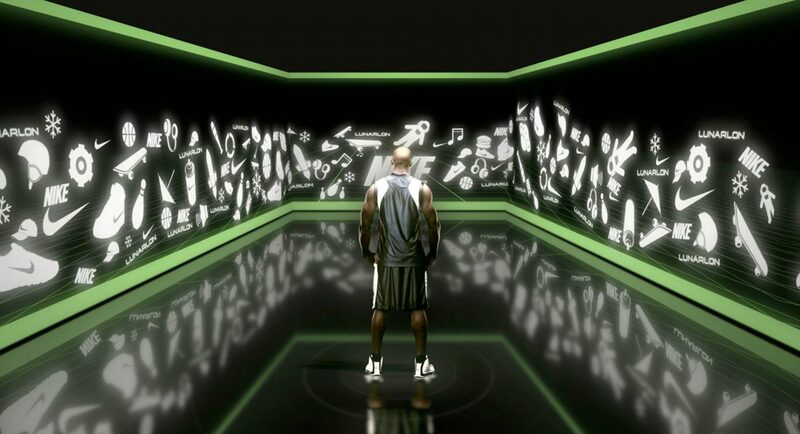 Pop-up store has a social media integrated activity area, which is activated by tweets with “nike” hashtag. 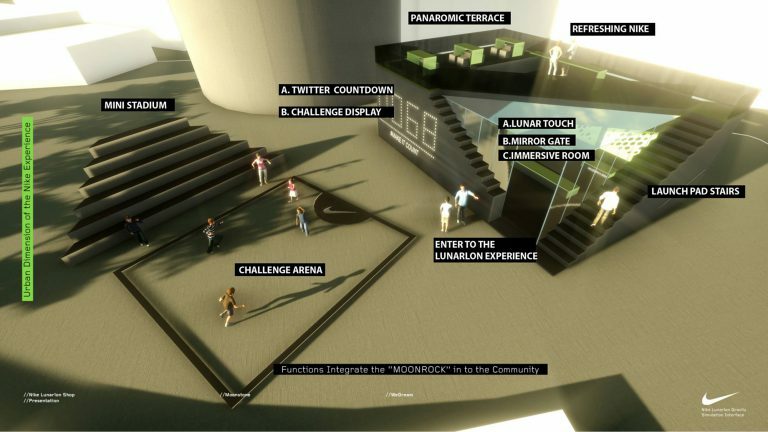 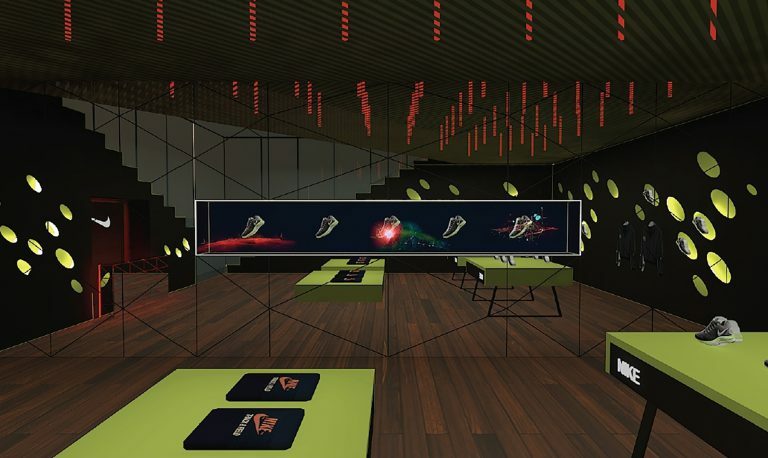 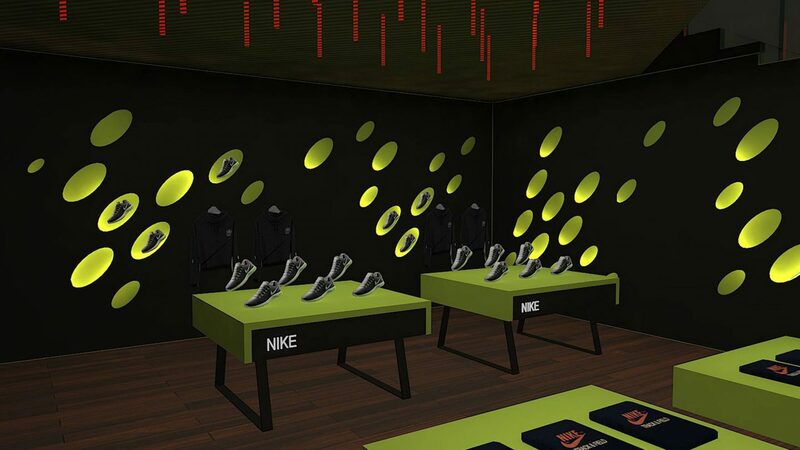 There is an interactive showcase inside the store to showcase new Lunarlon shoes of Nike. 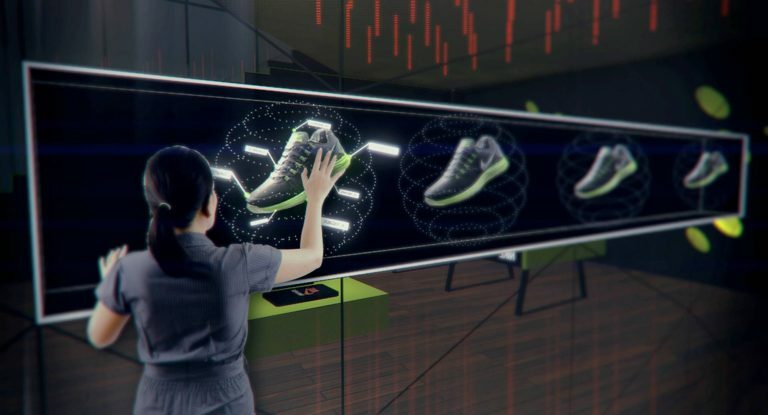 Shoes are levitating in showcase and users can get info by touching the glass surface. 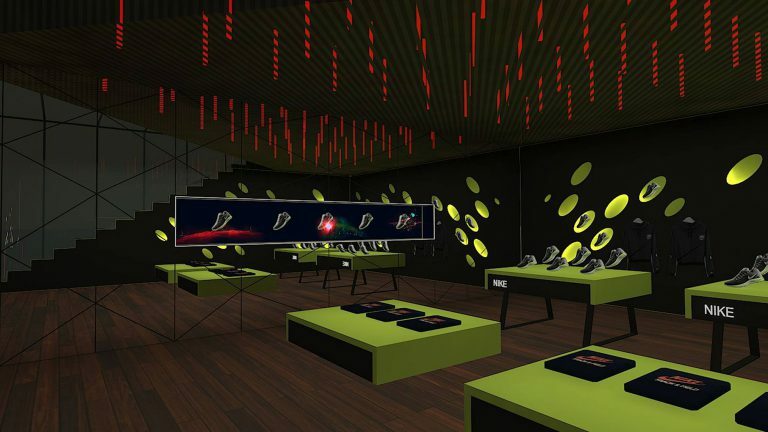 Immersive room is activated by special lunarlon shoes which has accelerometers inside. 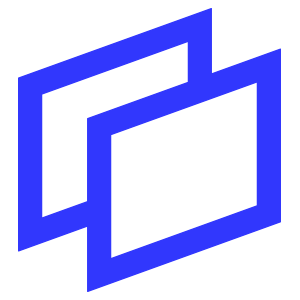 When user jumps in room, the gravity of digital content changes.